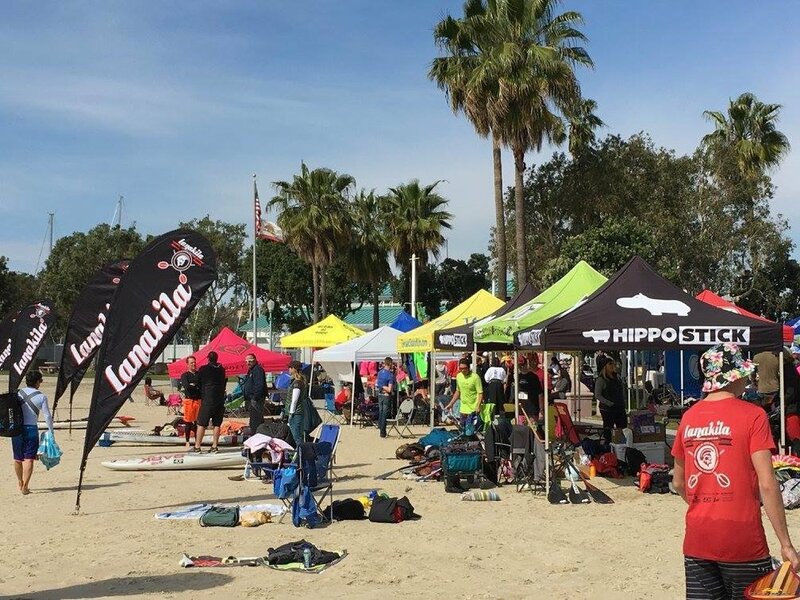 Outriggers, SUPs, surfskis, paddleboards. Come join the fun! Race fee includes lunch & complimentary breakfast. Interested in being a Vendor at the event? Go west toward the beach until the street ends, then turn left my Harbor Drive, and proceed for about one mile. You will see a parking lot at the Redondo Beach Marina. Go into the parking lot and go to your right. Remember when parking at the Seaside Lagoon that there is a charge per car. Parking lot entrance is off Harbor Way so you pass Portofino Way and turn right into parking Kiosk. There is grass and sand for staging of the canoes. Unfortunately no dogs allowed in this area and no alcohol. But you are walking distance to several restaurants and bars!